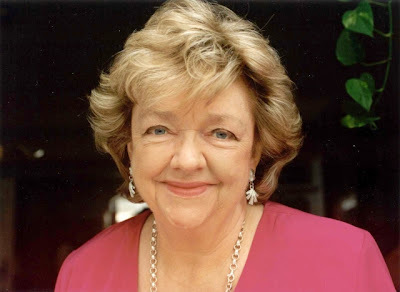 A couple of weeks ago my brother rang to tell me that Maeve Binchy had died. It was sad news indeed. From her first novel: Light A Penny Candle (1982) I was a devoted fan. I own all her novels and a few of her short story collections. Christmas isn't Christmas without her latest book - usually gifted to me by my brother. That wonderful relaxing time between Christmas and New Years is always spent reading her latest, or rereading one of her old ones. She was a gifted story teller, who wrote about life: families, communities, people with all their quirks and faults. I especially liked how the same characters kept reappearing in subsequent novels, yet they were stand alone novels zeroing in on different people from the same community. 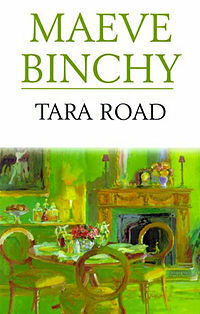 Her earlier novels were set in 1950s Ireland. Then her latter ones, starting with Evening Class, moved to modern day Dublin. I read in an interview that she had the 'gift of the gab'; and that certainly translated to her work. Reading one of her books was like sitting down with a cup of tea and hearing all the latest gossip from a friend who really 'got' people. 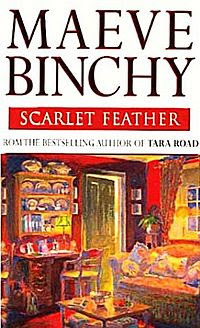 Although I loved each and every one of her novels and have reread them numerous times, my all time favourites are Tara Road and Scarlet Feather. Have you read any of her books and if so which is your favourite? I haven't but they seem good. I'll check out a couple. It's sad when writers die. I hope you enjoy them, Clarissa. Oh yes and I didn't know she had died. Looks like I had better go collecting some of hers. I love her Irish 50's line, there was something relaxing of that life. Yes, relaxing is such a good way to describe her writing. I must say I was surprised by the lack of media on Maeve's passing.